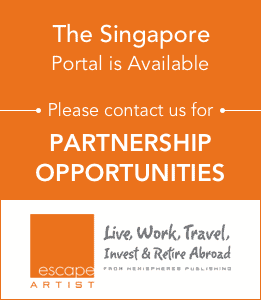 Q: Why do business in Singapore? Why gold in Singapore? A: Because it’s the best place to geographically diversify storage of precious metals in the world. No tax, no reporting, cash allowed, strong property ownership rules, very safe and a business friendly government. Q: Setting up a business, what was the experience like? Difficulties? What was really easy? A: My previous experiences of setting up businesses are from Europe where it’s unnecessary complicated to a degree where it seems that the government wants to discourage it in all ways possible. Comparatively, it was a walk in the park here. Q: Did you do it yourself or use a service? A: We went through a reasonably priced company provider. Q: How was the application for Visas? A: Very straightforward. A few simple documents and the normal attachments but nothing like it is to apply for a visa in a Western country which is really excessive in terms of documentation. Q: Why open a store front for bullion? A: The bullion industry is traditionally rather old-fashioned. You either come across brick and mortar shops or online shops that lack in usability. We offer a solution for buying and storing precious metals that is online user friendly combined with the physical accessibility of this shop where customers can walk in to physically audit or withdraw their bullion without prior notification in a matter of minutes. Nowhere else in the world can you view, buy, deposit, store, value, sell, physically audit and physically withdraw your precious metals in a one stop shop. By offering this in what is arguably the best country in the world for buying and storing precious metals is what makes us unique. Q: Most people think of Switzerland when thinking about gold bullion. Why Singapore? A: Switzerland used to be a stable country for capital preservation but that has been eroded over the last decade. Singapore stands out as the most positively positioned country in the world for buying and storing precious metals. There are no taxes for bullion whatsoever here. No sales tax/GST/VAT. No capital gains tax. No death tax. No import or export tax. No duties. Singapore has very strong property ownership rights. There is no reporting requirements for buying or storing gold. Singapore is the safest country in the world with a strong rule of law. Cash transactions are allowed without restrictions. Q: What are people’s reaction? A: The combined bullion shop, showroom and vault has got a very positive reception from customers and stakeholders so far. We are offering a transparent solution for buying and storing precious metals. As a customer, you can walk in to our shop, view the current price for the respective products on price displays next to the products and walk out with your bullion or store it in our vault which is situated just behind the shop. We also allow for customers to physically visit us to audit or withdraw their bullion. Q: Tell us more about how it works with the shop? A: In the middle, we have ten showcase displays full of the most renowned brands of bullion bars and coins in gold, silver and platinum with their respective pricing updated every 5 minutes. Prices are competitive. We offer the best prices for bullion in Singapore generally and also with the added benefit of storage being free until 2016. On the wall, we have semi-collectibles and a new product called bullion jewellery which is gold necklaces with a standardized weight of 20 gram or 100 gram in 24 karat gold. Bullion jewellery is an excellent way of discreetly transferring wealth across borders. We also offer a buy back price for the bullion jewellery which is higher than the spot price of gold making the spread between the buy and sell price very low compared to normal jewellery. Q: In every investment or asset class there’s horror stories. What are some of the precious metal horror stories? A: That’s true and it’s also true for gold investments where there were several companies in Southeast Asia a couple of years ago running Ponzi schemes based on gold. The most notable one was called Genneva which went bust. Directors and employees have since been charged with no less than 927 charges in Malaysia. Q: How do you, BullionStar, lower the risk and minimize them? What stops you from closing up shop and running away with millions of dollars in gold? A: For us, we deal with physical gold. The easiest way to avoid any counter party risk whatsoever is simply to walk in to buy and take physical possession of your precious metals straight away settling with cash. For customers storing with us, we take pictures of their bullion, we disclose the bullion bar serial numbers and we allow for customers to do walk in audits and withdrawals without prior notification. We furthermore have full insurance protection including fidelity and mysterious disappearance. From a personal point of view, I believe that precious metals is money in the true sense. When the current monetary system, based on fraction reserve banking crashes, which is a mathematical certainty that it will, precious metals will once again return as money as it always has and always will. By helping people saving in metal now, there will be people to trade with when the currency crises hit. It won’t serve me much at all if I’ve saved a lot of precious metals but its use is not widespread. Then I would be a target instead of a trading partner. Personally, I don’t need much money. I don’t consume. My family lives a simple life and don’t care much about gadgets and stuff. In regards to running away with someone else’s gold, it can be noted that punishments in Singapore is extremely severe including corporal punishment as the Singaporean criminal system doesn’t believe much in second chances. Regardless, everyone should do their own due diligence and if you don’t trust us, you can always walk in, settle in cash and use e.g. a safe deposit box to store your gold. Q: Getting out of currency? What’s that all about? A: The current currency system, where money is created as debt out of thin air, will fail. Never ever has an unbacked paper currency system held together longer than a couple of decades. The current stretch of about 4 decades of completely unbacked paper currency is the longest ever due which is due to the level of debt being higher than ever. Q: What makes you different than the 100’s of other precious metal sellers out there? A: We are selling physically allocated metals. It’s easy to buy and store with us with no documentation requirements upfront. We allow you to store physical bullion in the best country in the world for precious metals. Combining the online user friendliness with the physical presence of having a combined bullion shop, showroom and vault in a one-stop location is unique. Q: Why move to SG? A: The reason we moved here was because it’s the most business friendly country in the world. It’s a meritocracy where the government actually allows for people to prosper and succeed in their ventures as opposed to the situation in the Western world where SME’s and entrepreneurs are harassed and oppressed by the governments. Q: Concerns about Healthcare insurance / coverage? A: No concerns. Health care is effectively organized here. You can actually get a same day appointment here for most issues. In many Western countries, health care is supposed to be free or subsidized through the tax system but is instead costly and inefficient with people dying in queues. A: The kids actually get to learn things in school here which is great. My kids are still in pre-school which is expensive but it’s our choice as parents to enroll them and I don’t expect anyone else the government included, to pay for my expenses. Q: How did your kids handle the move? A: I have two kids. A daughter that just turned 5 and a son that is 3.5. They love it here. Plenty of friends in school as well as at the condo where we stay. The climate is good so they play outdoors all the time. Moving here from Sweden, the kids learnt English in 3 months. They learnt to swim in a couple of months as there’s a pool at the condo so overall they really thrive here. Q: How did you prepare to move? A: By staffing up with a new CEO at my Swedish bullion dealer, LibertySilver.se. Otherwise, we didn’t prepare much and have just settled things step by step. We didn’t have any long term accommodation when moving here. We just stayed in a hotel while looking for somewhere to stay and found a fantastic child-friendly condo. Q: After you arrived, what was your biggest unexpected surprise? A: The true business friendliness of being able to do business here. One simple example is that cash transactions are not frown upon here. Cash makes a lot of sense for precious metals as there are no counter party risks. If you walk in to our bullion retail shop settling your bullion purchases in cash, you get your bullion right away and we get the cash so there’s no risk involved. In Scandinavia where I originate from, it’s almost cashless and cash is looked upon as something suspicious. Q: Getting the whole family visas? No problem. I was actually granted two different visas, both the entrepreneur visa and employment visa. Minimal documentation necessary compared to other countries. Quick processing times. Q: Any specific things you wish you knew or considered before you moved? A: Moving here was about pursuing a vision, a dream of offering people bullion in a truly user friendly and accessible way which is not possible in Europe due to security and government issues. I had to do it or I would’ve pondered about for the rest of my life. My advice to others having a similar idea is to break through their comfort zone and just go for it! Q: Any last things you would like to share? Having been to his storefront its really worth checking out. If you cannot make it in person you can visit his website http://www.bullionstar.com and watch the video interview.